50Sqft Automotive Heat Shield Insulation Car Insulation Sound Deadener 180"x39"
Part Category: Floor Pan Toe Board. Driver Side Toe Board Patch. Emblems/logos are not included (even if pictured) due to licensing. Vehicle Position: Driver Side. This item uses original hardware - installation hardware and instructions are not included. Manufacturer Part Number: GMK4032500681. 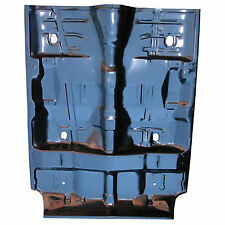 1-piece Floor Pan For 2-door Models; Except Under Rear Seat. Emblems/logos are not included (even if pictured) due to licensing. Part Category: Floor Pan. Vehicle Position: Front. 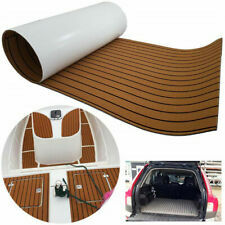 Automotive Sound Deadener Heat Insulation Deadening Mat Features: 1) This product is 100% brand new. 2) Great For Firewalls, Floors, Doors, Boots, Side Panels. Roofs and more.... 3) Keeps Heat In-Cold Out in the Winter, Keeps Cold in-Heat Out in the Summer! 4) Easily installs,fit all kinds of vehicle type Material: Alumina fiber Muffler cotton Application: Firewall/rear decks - To reduce engine, road, and transmission noise while dissipating heat Installation: 1. Manufacturer Part Number: GMK4032500681S. Emblems/logos are not included (even if pictured) due to licensing. Part Category: Floor Pan. Cab Floor 1pc Complete Floor Assembly Incldes 3 Floor Braces 73in X. Passenger Side Front Floor Pan Patch; 31in Long. Emblems/logos are not included (even if pictured) due to licensing. Part Category: Floor Pan. Vehicle Position: Front Passenger Side. This item uses original hardware - installation hardware and instructions are not included. Part Category: Floor Pan Toe Board. Passenger Side Toe Board Patch. Emblems/logos are not included (even if pictured) due to licensing. Vehicle Position: Passenger Side. This item uses original hardware - installation hardware and instructions are not included. Heat Insulation Shield Car Exhaust Turbo Thermal Reducer Self-Adhisive Mat Features: 1) This product is 100% brand new. 2) Great For Firewalls, Floors, Doors, Boots, Side Panels. Roofs and more...... 3) Keeps Heat In-Cold Out in the Winter, Keeps Cold in-Heat Out in the Summer! 4) Easily installs,fit all kinds of vehicle type Material: Aluminum Fiber Muffler cotton Application: Firewall/rear decks - To reduce engine, road, and transmission noise while dissipating heat . Emblems/logos are not included (even if pictured) due to licensing. Part Category: Floor Pan. Cab Floor Rh 30in X 32in Cab Floor Rh 30 W X 32 L. Vehicle Position: Front Passenger Side. This item uses original hardware - installation hardware and instructions are not included. Heat Insulation Shield Car Exhaust Turbo Thermal Reducer Self-Adhisive Mat Features: 1) This product is 100% brand new. 2) Great For Firewalls, Floors, Doors, Boots, Side Panels. Roofs and more...... 3) Keeps Heat In-Cold Out in the Winter, Keeps Cold in-Heat Out in the Summer! 4) Easily installs,fit all kinds of vehicle type Material: Alumina fiber Muffler cotton Application: Firewall/rear decks - To reduce engine, road, and transmission noise while dissipating heat. Floor Pan Toe Board;driver Side;30x16;with Floor To. Part Category: Floor Pan Toe Board. Emblems/logos are not included (even if pictured) due to licensing. Vehicle Position: Driver Side. This item uses original hardware - installation hardware and instructions are not included. Heat Insulation Shield Car Exhaust Turbo Thermal Reducer Self-Adhisive MatFeatures:1) This product is 100% brand new.2) Great For Firewalls, Floors, Doors, Boots, Side Panels. Roofs and more......3) Keeps Heat In-Cold Out in the Winter, Keeps Cold in-Heat Out in the Summer!4) Easily installs,fit all kinds of vehicle typeMaterial:Alumina fiber Muffler cottonApplication:Firewall/rear decks - To reduce engine, road, and transmission noise while dissipating heatInstallation:1.Clean the dust and oil which cover the automobile engine2.Trim engine cover size well before the coherence3.Remove the isolation paper and stick the heatinssulation pad in the angine covers4.Finally press it evently,especially pay attantion to nearby theaaquare and the traiang concave-conv. 6mm/236mil/1/4"Thick Thermal Acoustic Proof! 832+Sold! Features: 1) This product is 100% brand new. 2) Great For Firewalls, Floors, Doors, Boots, Side Panels. Roofs and more...... 3) Keeps Heat In-Cold Out in the Winter, Keeps Cold in-Heat Out in the Summer! 4) Easily installs,fit all kinds of vehicle type Application: Firewall/rear decks - To reduce engine, road, and transmission noise while dissipating heat . Part Category: Floor Pan. Cab Floor Lh Rear 30in X 30in Edp-coated. Emblems/logos are not included (even if pictured) due to licensing. Vehicle Position: Rear Driver Side. This item uses original hardware - installation hardware and instructions are not included. Heat Insulation Shield Car Exhaust Turbo Thermal Reducer Self-Adhisive Mat Features: 1) This product is 100% brand new. 2) Great For Firewalls, Floors, Doors, Boots, Side Panels. Roofs and more...... 3) Keeps Heat In-Cold Out in the Winter, Keeps Cold in-Heat Out in the Summer! 4) Easily installs,fit all kinds of vehicle type Material: Alumina fiber Muffler cotton Installation: 1.